The International Swaps and Derivatives Association (ISDA) has published an updated guidance on the use of an arbitration clause with an ISDA Master Agreement. The 2018 ISDA Arbitration Guide, published in December 2018, includes an expanded range of model arbitration clauses adapted for use with ISDA’s Master Agreements for a larger number of arbitration institutions and seats around the globe. It updates ISDA’s first ISDA Arbitration Guide published in 2013. Historically, finance parties have referred their disputes to litigation, preferring the known of domestic courts. In recent years, however, increasing focus has come on the use, and potential advantages, of international arbitration for cross-border finance transactions. To that end, between 2011 and 2013, the ISDA conducted a wide-ranging consultation of its members regarding the use of arbitration for disputes arising out of its Master Agreements, leading to its publication of the 2013 ISDA Arbitration Guide. In 2016, the International Chamber of Commerce (ICC) published an influential report on financial institutions and arbitration, and data from international arbitral institutions and surveys of in-house counsel and practitioners have highlighted numerous reasons why international arbitration is gaining popularity with parties to cross-border financial transactions. 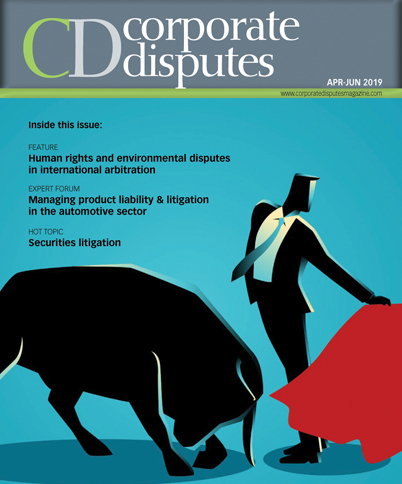 There are a number of important reasons for why arbitration is increasingly utilised by finance parties (reflecting why international commercial arbitration is best practice for cross-border commercial disputes generally), as outlined below.